• Structure ID: NBI 000000000605410. • Location: River Mile 580.7. • Highway: East 16th Street. 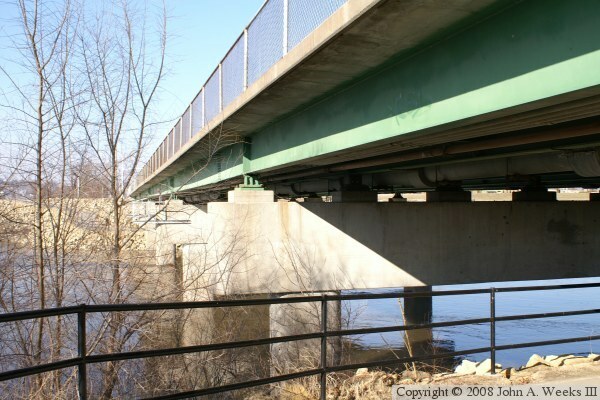 • Length: 347 Feet Overall, 70 Foot Longest Span. • Width: 52 Feet, 4 Lanes. • Navigation Channel Width: 60 Feet (Estimated). • Height Above Water: 23 Feet. • Date Built: Opened 1982. The new Dubuque-Wisconsin Bridge was built in 1982, but the new waterfront expressway through Dubuque was still on the drawing board for another 10 years. 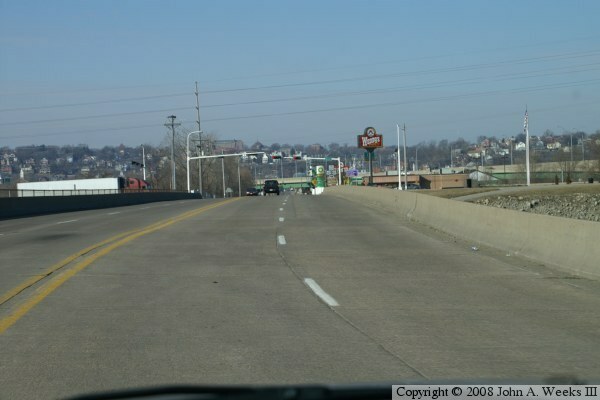 In the interim, US-61 and US-151 traffic used a new bridge built across the Peosta Channel of the Mississippi River to enter Dubuque on East 16th Street. Now that the new City Island Bridge and the waterfront expressway are complete, the 16th Street Bridge is no longer a US highway, but it is still an integral part of the city street network near the waterfront serving a marina and a major casino.